Kevin Ferguson Jr., the son of Kimbo Slice, will return to action May 19th for Bellator 179 at Wembley Arena. 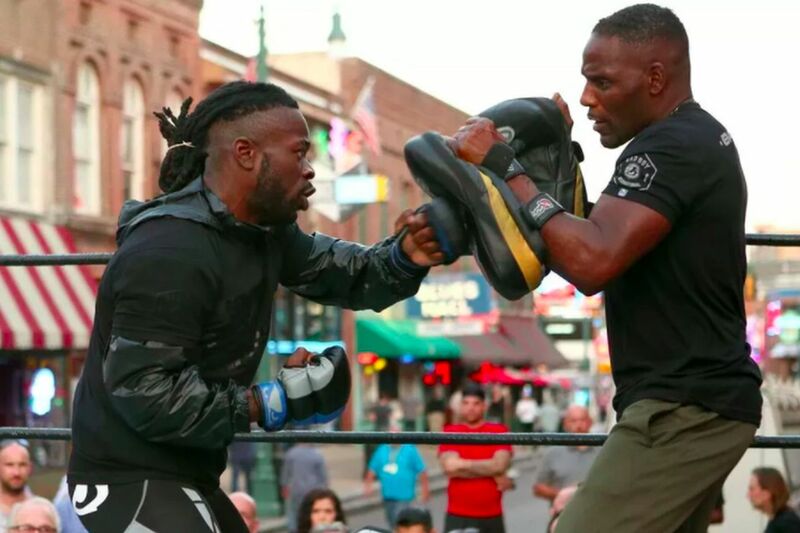 Bellator’s big event at Wembley Arena on May 19th just got a little bigger with the late addition of Kevin Ferguson Jr., aka “Baby Slice,” aka the son of the late great Kimbo Slice. Ferguson last competed for Bellator back in November of 2016, losing his pro debut to the then 0-2 Aaron Hamilton via guillotine choke three minutes into the second round. This time he’ll face D.J Griffin, who is 0-0 as a pro and 2-2 as an amateur. Here’s hoping the issues that plagued him the first time he tried to fight for Bellator don’t happen again. Bellator’s big UK event is headlined by knockout artist Paul Daley (39-14-2) taking on former UFC welterweight contender Rory MacDonald, and Pokemon enthusiast Michael Page (12-0) fighting Derek Anderson (14-3). Liam McGeary (12-1) and Linton Vassell (17-5) will slug it out at light heavyweight, and the main card will open with Cheick Kongo (26-10-2) vs. Augusto Sakai (9-0-1). There’s also 11 prelim fights to look forward to, which will probably include Baby Slice’s second pro fight.